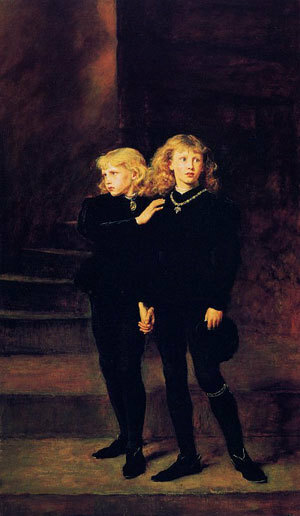 Princes Edward and Richard, the Princes in the Tower. Inprisoned in the tower of London and then never heard from again. Many suspect they were murdered there.. Wallpaper and background images in the Kings and Queens club tagged: prince edward prince richard england princes in the tower royalty monarchy. This Kings and Queens photo might contain concert, street, city scene, and urban setting.